LGB-toget passer perfekt til hagejernbane - og med disse kule vognene kan barna bygge klosser på vognene før det tøffer av sted. This starter set includes a steam locomotive, two flat cars with a building block plate and 30 building blocks. 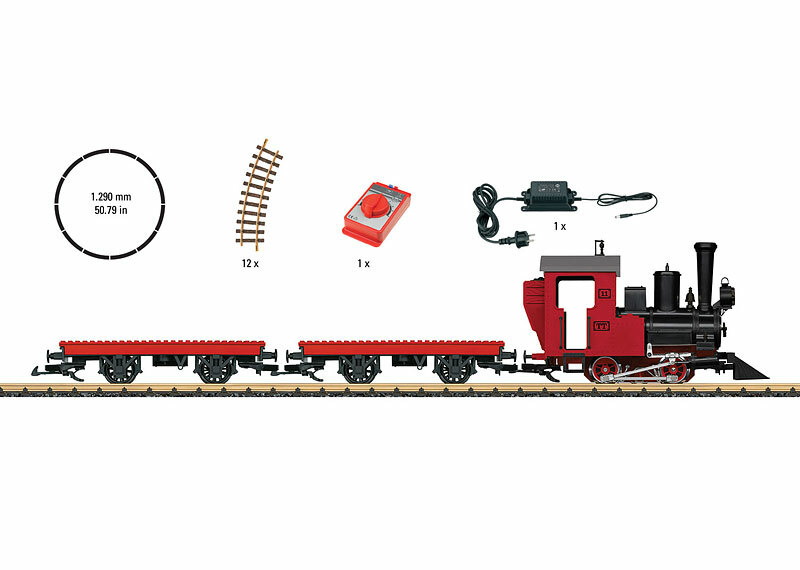 The set also includes a complete circle of track consisting of 12 curved sections of track, a locomotive controller, a power supply for 230 volts, and feeder wires. Train length 77 cm / 30-5/16".